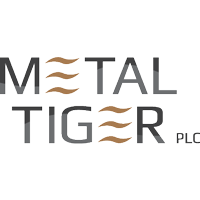 Shares of Metal Tiger PLC EPIC code: LON:MTR has risen 5.49% or 0.13 points during today’s session so far. Buyers have remained optimistic during the session. Range high for the period so far is 2.4 dipping to 2.2. Volume total for shares traded during this period was 1,920,907 whilst the daily average number of shares exchanged is just 5,249,767. The stock 52 week high is 3.44 about 1.16 points different to the previous business close and a 52 week low sitting at 0.02 which is a difference of 2.26 points. Metal Tiger PLC has a 20 day moving average of 2.45 and the 50 day simple moving average now at 2.56. The current market cap is £32.05m at the time of this report. The currency for this stock is Great British pence.Market cap is measured in GBP. This article was written with the last trade for Metal Tiger PLC being recorded at Friday, October 12, 2018 at 12:24:32 PM GMT with the stock price trading at 2.4 GBX. Shares of MONDI/PAR VTG FPD 0.2 with company EPIC: LON:MNDI has increased 1.13% or 20 points in today’s trading session so far. Buyers are a positive bunch while the stock has been in play. The high for the period has peaked at 1807 meanwhile the session low reached 1782. The amount of shares exchanged has so far reached 1,078,461 whilst the daily average number of shares exchanged is just 2,272,637. The 52 week high price for the shares is 2250 some 475 points difference from the previous days close and putting the 52 week low at 1684 a difference of some 91 points. MONDI/PAR VTG FPD 0.2 has a 20 day moving average of 2087.5 and now its 50 day MA at 2133.45. The current market capitalisation is £8,668.47m at the time of this report. The share price is in GBX. Mcap is measured in GBP. This article was written with the last trade for MONDI/PAR VTG FPD 0.2 being recorded at Friday, October 12, 2018 at 12:32:58 PM GMT with the stock price trading at 1795 GBX. The share price for Mysale Group PLC found using EPIC: LON:MYSL has increased 6.44% or 2.9 points in today’s trading session so far. Market buyers have stayed positive throughout the session. The high for the period has peaked at 48.13 dropping as low as 46.61. Volume total for shares traded at this point reached 71,065 while the daily average number of shares exchanged is 237,453. The 52 week high is 122 amounting to 77 points difference from the previous days close and putting the 52 week low at 34.78 which is a variance of 10.22 points. Mysale Group PLC now has a 20 moving average of 50.66 and the 50 day simple moving average now at 47.96. The current market capitalisation is £71.20m at the time of this report. The currency for this stock is Great British pence.Market cap is measured in GBP. This article was written with the last trade for Mysale Group PLC being recorded at Friday, October 12, 2018 at 12:08:55 PM GMT with the stock price trading at 47.9 GBX. The trading price for NEXT plc ticker code: LON:NXT has moved up 3.65% or 192 points during today’s session so far. Market buyers have remained optimistic during the session. The high for the period has peaked at 5458 and hitting a low of 5272. The number of shares traded by this point in time totalled 111,679 while the daily average number of shares exchanged is 731,322. A 52 week high for the stock is 6224 some 970 points difference from the previous close and the 52 week low at 4187 making a difference of 1067 points. NEXT plc has a 20 day moving average of 5449 and also a 50 day simple moving average now at 5521.35. The market cap now stands at £7,387.91m at the time of this report. The currency for this stock is GBX. Market cap is measured in GBP. This article was written with the last trade for NEXT plc being recorded at Friday, October 12, 2018 at 12:28:28 PM GMT with the stock price trading at 5446 GBX. Shares of Persimmon plc EPIC code: LON:PSN has gained 3.76% or 82 points during the course of today’s session so far. Market buyers seem confident during this period. The high for the period has peaked at 2273 while the low for the session was 2182. The volume total for shares traded up to this point was 543,473 with the daily average at 1,226,861. The 52 week high is 2913 equating to 735 points in difference on the previous days close and a 52 week low being 2178 which is a variance of 0 points. Persimmon plc now has a 20 SMA at 2363.6 and the 50 day moving average at 2419.08. The current market capitalisation is £6,924.04m at the time of this report. Share price is traded in GBX. Mcap is measured in GBP. This article was written with the last trade for Persimmon plc being recorded at Friday, October 12, 2018 at 12:32:33 PM GMT with the stock price trading at 2260 GBX. The share price for Predator Oil & Gas Holdings PLC ticker code: LON:PRD has increased 6.19% or 0.35 points in today’s trading session so far. Buyers have remained positive during this period. The period high has peaked at 6 meanwhile the session low reached 5.55. The total volume traded so far comes to 279,691 whilst the daily average number of shares exchanged is just 2,034,001. The 52 week high for the share price is 9.93 around 4.28 points in difference on the previous days close and a 52 week low being 1.9 which is a difference of 3.75 points. Predator Oil & Gas Holdings PLC now has a 20 SMA at 7.6 and also a 50 day SMA of 5.74. The market capitalisation currently stands at £4.41m at the time of this report. The currency for this stock is GBX. Market cap is measured in GBP. 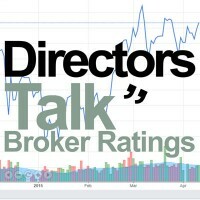 This article was written with the last trade for Predator Oil & Gas Holdings PLC being recorded at Friday, October 12, 2018 at 12:14:39 PM GMT with the stock price trading at 6 GBX. Click MNDI MTR MYSL NXT PRD PSN for the full archive.